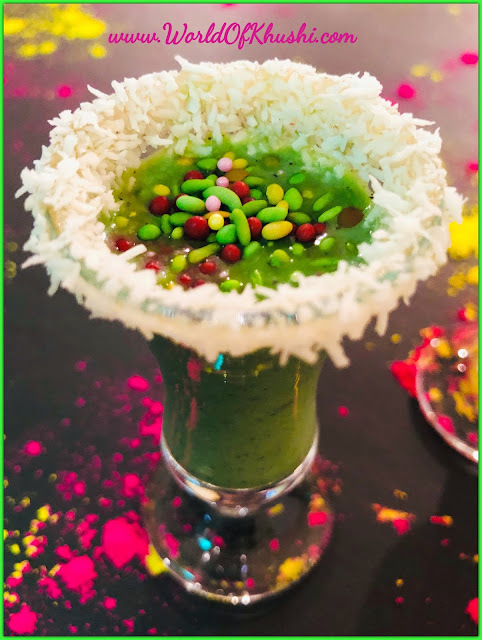 When it comes to wearing jewelry in Summers one thing you will notice everywhere is Glass Beads Bracelets in different colors. Whether it is a beach outing or a Garden picnic people wear multi-color bracelet & even Shopping Stores are full of Beads Bracelets. In today's post I am sharing How to make your own Glass Beads Bracelet. This is very easy DIY, doesn't need tools or much time. With the same strategy you can make tons of them & with variety of colors. I am making 2 different styles of Bracelets which will look like a Pair as the main color is same. One is in the Yellow color and other one is in Mint-Yellow color. 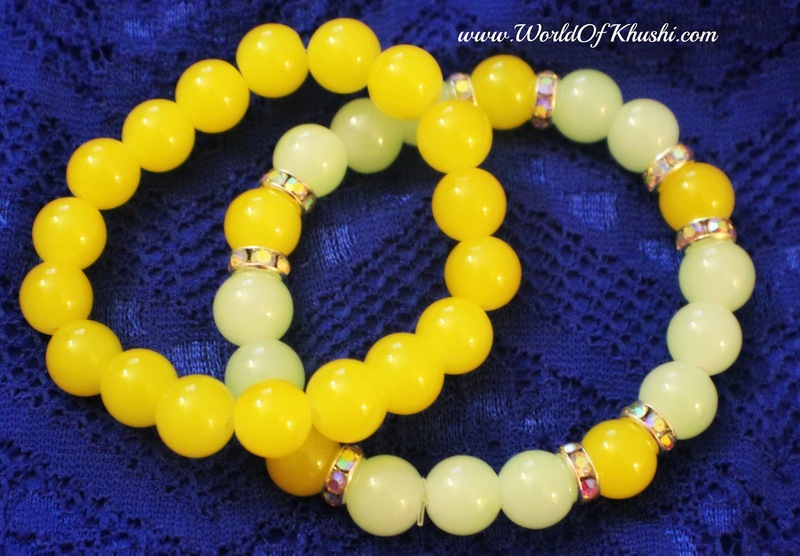 In this post we are making Yellow Color Glass Beads Bracelet. So without further delay let's see how to make it!! Step 1. Take the stretch cord & measure your wrist size with it. Cut 3 inches more than the size. Step 2. Secure one end (so that beads doesn't slip) and start working to the another end. Step 3. Start adding Yellow Glass Beads on the cord till you get bracelet according to your hand size. Step 4. Now just check whether the bracelet is coming on your hand properly. If you feel there are more or less beads you can add / remove the Yellow beads. Step 5. Using both the ends of the cord, make 3-4 knots to properly tie the bracelet. Cut any extra cord if remaining. Your beautiful Yellow Bracelet is ready. For making Mint Yellow Bracelet check out this link. If you guys have liked the post share it with your friends & family too. 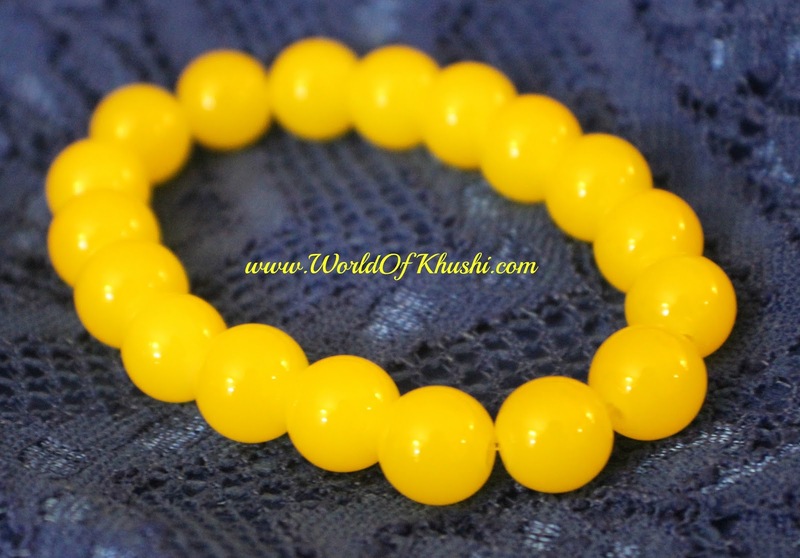 Follow me on Khushi's World Facebook Page, Google+ , Instagram and Pinterest for more Posts. I will see you in next post till then take care.